How Claims Are Handled in Hunting Accident Cases | Merkel & Cocke, P.A. Mississippi residents love to hunt. So do the lawyers at our firm. Unfortunately, many hunters suffer injuries due to defective tree stands and weapons there weren’t manufactured properly. Poorly designed guns and rifles can cause a weapon to fire prematurely. Crossbows and compound bows that weren’t designed or made safely can injure the person firing the bow or people who are struck by an errant bow. Hunting accidents can also happen because other hunters didn’t act responsibly. There are laws and regulations for when and where people can hunt and what types of animals they can hunt. There are also common-sense rules for when not to discharge a weapon when others are nearby. Another reason for hunting accidents is due to property owners who failed to maintain their land in a safe manner. 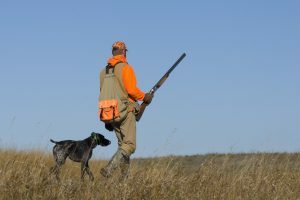 Property owners who allow or charge a fee to people to use their land to hunt should inspect their property for holes, cliffs, and other dangers. Hunters should be warned of any known dangers that might cause their weapon to fire early or might cause the hunter to shoot where humans are close. Negligence. In negligence cases, we investigate the scene of the accident, speak to witnesses, and review the laws and regulations that should have been followed. We work to show the accident was caused by someone who was careless or who didn’t follow standard procedures for hunters. Product liability. Manufacturers and sellers of weapons and hunting equipment such as tree stands can be held liable, without the need to prove negligence. Makers of defective equipment and anyone in the supply chain can be held liable if the product was defective at the time of the accident and the defect caused the injury. Common defects include poor design and bad workmanship. Wrongful death. When a hunter or bystander is tragically killed in a hunting accident, the family of the deceased victim has the right to file a wrongful death action. In this type of case, the spouse, children, and other qualifying relatives can demand payment for funeral bills, the lost income and benefits the deceased would have provided, the loss of society and companionship the deceased would have provided, and their pain and suffering. At Merkel & Cocke, P.A. we understand how devastating a hunting injury can be. We sympathize with and fight for Mississippi families when a loved one dies due to the fault of others. Since 1982, we have guided clients through every step of the ligation process. We work with investigators, product safety experts, and your doctors to help prove each part of your claim. For help now, call us at 662-799-1633 or complete our contact form to schedule a free consultation. From our offices in Jackson, Clarksdale, and Oxford, we represent clients throughout Mississippi, including in Tupelo and throughout the Gulf Coast Region. We also handle cases in Tennessee and Arkansas, and in federal courts in all three states.